Contexts 1.4 supplements—and can even replace—OS X’s window management tools, and it does so in a way that is legitimately useful, especially if you rely on keyboard shortcuts to navigate your Mac. On first glance, Contexts has a nearly nonexistent interface: The only sign that it’s running is a narrow window-picker sidebar that runs along the edge of your screen. But its real power lies in its keyboard shortcuts. 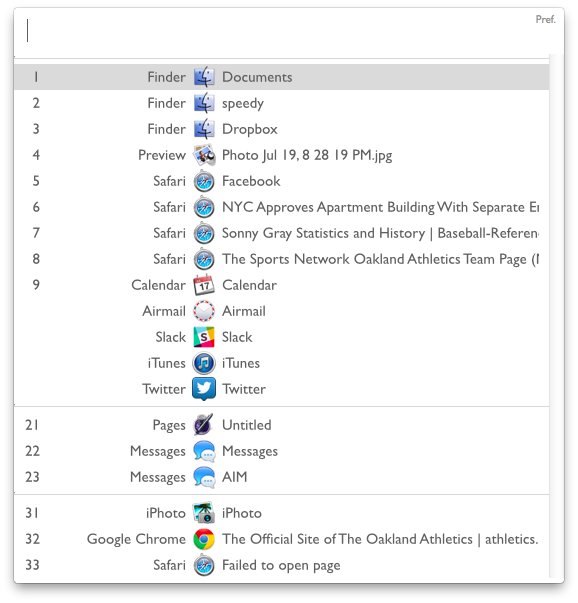 Want to find a Finder window in a hurry? Press Command-Space to get a Spotlight-like open-window picker, start typing the window’s name, and watch as Contexts narrows the list down to the window you want. 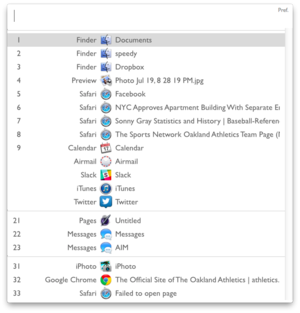 It’s quick and it works well, but Contexts doesn’t include browser tabs in the list. If you’re looking for a webpage opened in a background tab, you’ll still have to hunt for it. Contexts assigns a number to each open window, so you can pull them up readily with a keystroke. For example, if Contexts assigns “1” to your Messages, window, you can press Command-1 to bring that window to the front. You can re-order windows as listed in the sidebar, which also changes the number assigned to that window. 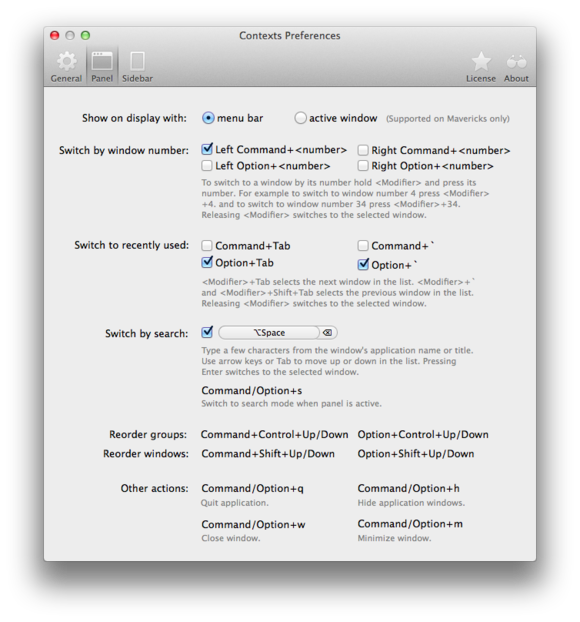 By default, Contexts changes Command-Tab from cycling through open apps to cycling through open windows. To say that this change takes some getting used to is a massive understatement: I’ve used Contexts for about a week and have yet to adjust to the change. You can disable this feature temporarily by turning on Caps Lock, or switch its keyboard shortcut to something else in Contexts’s preferences. In fact, Contexts lets you change keyboard shortcuts for many of its features to whatever works best for you. No matter how you feel about OS X’s window management, Contexts is worth a look; a free trial is available.